How is it September already!? Don't get me wrong, this is my favorite month out of the whole year and I am really excited about Fall overall and the progression of the year, etc, etc. However, it's been such a whirl-wind of a Spring and Summer since Martin's diagnosis in April and all the time spent for treatments in mexico, coming back for a baby birth right away, healing, potty-training, packing, moving house, renovations, my oldest starting school. We just already feel like every single minute is so precious, and I'm kinda sad that those sweet seasons and everything they mean have seemingly passed us by so quickly. Now all the sudden I'm supposed to pack away the swim-suits before we've had a chance to really use them. I need to put heaver blankets on the beds because the nights are suddenly chilly. I want the barbecues with friends and the naps in the shade, more walks to the park, fresh flowers and longer days. I want dirty hands from yard work. 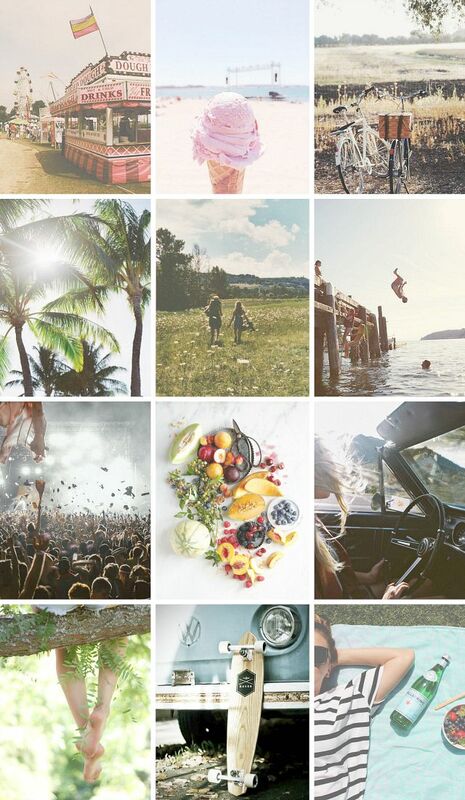 I want suntan lines, linen sheets, drive-in movies, sand between my toes, and farmer's markets. And if you feel like sharing either what you'll miss most about Summer or what excites you most about Fall (or both:)) in the comments, I'd really love to know! Thanks so much for reading today, and for those of you who encouraged me in my idea to post every day in September:) I really think that challenge is just what I need to get back on track after all this craziness that has been life lately. Can't wait to see you back here tomorrow! One of the things I always miss about the summer is chasing fireflies with the kids under the trees and through the garden. Even my older kids still love the magic of fireflies lighting up all around us. My favorite time of the year is late summer into mid-autumn so I am indeed slowly settling into a fall frame of mind. I love nothing more than walking through fallen leaves dressed in brilliant shades of red, gold, orange and brown. And that chill in the air brings everyone closer under the blankets for cuddling. Oh my goodness, this post made me so sad! Even though September is my birthday month I love summer but I am a firm believer it does not really end until the 23rd with the Equinox! I wish that summer would stay longer as well. I love the long, warm days, and I'm not ready to swap that for chilly air and jackets! I can totally relate...Oh how I love Fall but that means another summer gone, my son almost 16! another year in High School and Im to aware of how fast that goes. Im going to miss the feel of the Sun on my skin and the way it reflects off my daughters curls while were swimming and sunning. Her and her brother laughing and playing in the pool...so happy. Also how beautiful all my flowers look. Im totally going to miss summer too!!! I will miss the extra sunlight of summer. I also love all the outdoor summer concerts and movies in the park. It is so fun getting together with friends, eating good food, and listening to fun music. I do LOVE fall. I love the chilliness, but as a Californian, we don't get much of that. So the only way a Californian knows it is fall is when Pumpkin Spice comes out at Starbucks. So if you ever wonder what the big, stinkin' deal is about pumpkin spice, I can guarantee that the big deal is made from us West Coasters lol! What I will miss about summer are the summer work hours, because I had Fridays off AND having the weekends to go to lake and just relax, what I won't miss is the 119 degree temps. Which leads to... getting excited for the under 80 degree temps these coming weeks, football every weekend and the holidays around the corner. I've been in the same mood! I usually love fall but this year I just want time to move slower as my son's first birthday approaches. I feel like I didn't spend enough time doing all my summer bucket list things and now I'm not ready to move on. My biggest thing is that I'm not ready for winter and I feel like if I even blink I'll miss fall! I'm so happy you'll be posting more. You write such great posts, and I love reading them and seeing your awesome photos, of your family and everything else. 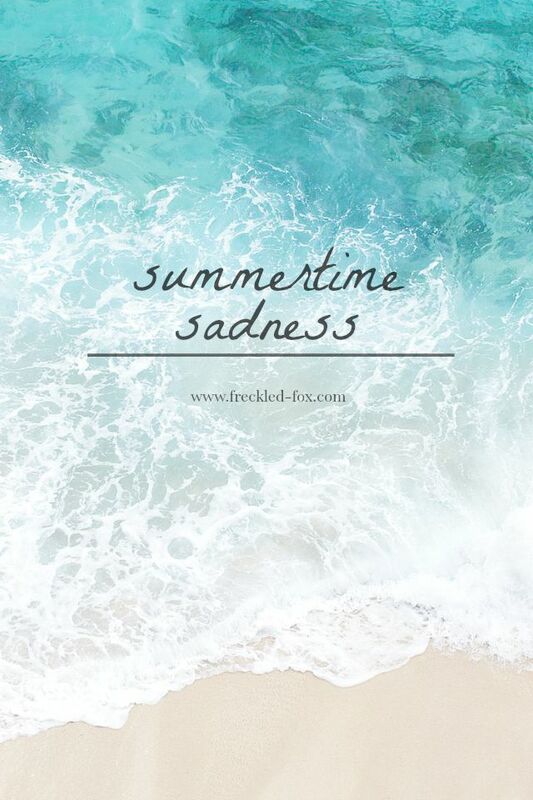 And I hate to see summer go, too...though I'm trying hard to embrace the new chilliness that's upon us--especially here in the mountains, where it's starting to feel like snow. The crazy thing is, you hike up a couple of miles and the snow from last year is STILL there! That's so great to read- thank you so much! It's really a passion of mine, sharing posts with you guys, and knowing that they're appreciated makes me even more motivated to publish! In Indiana I think we are getting our Indian summer. Started getting into the mid 70s and this we it is back up to 93! Summer did seem to go too quickly but football games are better I. The cooler weather. Ready for Bon fires and football! I really think we are in legit Fall, all the kids had to wear coats out this afternoon to play even with the sun high in the sky. Hooray for Fall! Hoping you get yours too!